Is Your Cyber Security Plan All Business? Do you have a solid cyber security plan? No matter how big or small your business, a cyber-security plan is a must. In fact, statistics from the National Cyber Security Alliance show that nearly half of all small businesses have been victims of cyber-attacks. An attack can cost your business time, money, and even your reputation. 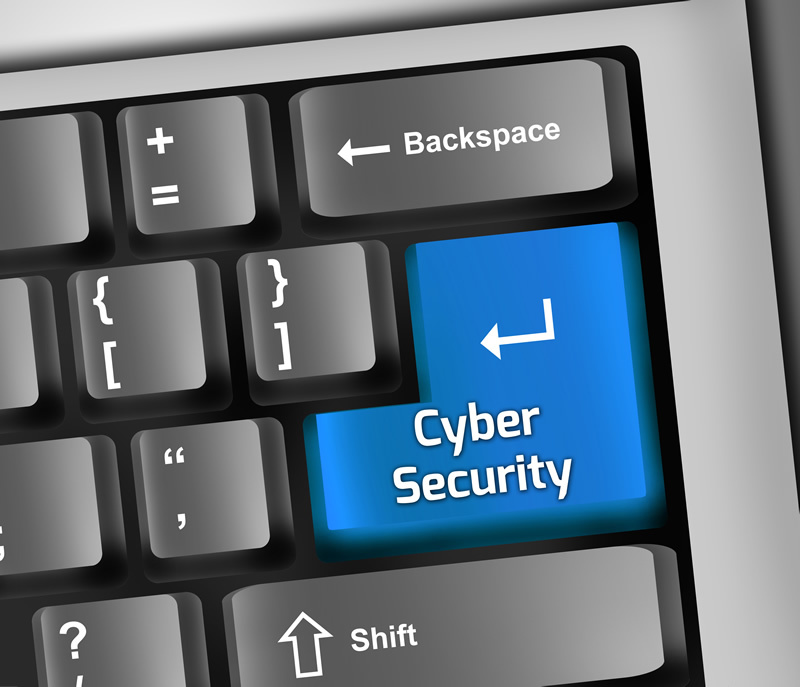 When your business is the victim of a cyber-attack, you’ll lose time sorting out the problem. An attack can cause you to lose money in many ways, including lost orders or payments, or having to pay to have the problem fixed. If the attack slows down your business, makes your website unavailable, or compromises your customers’ security, your reputation will suffer. It’s clear that you need to do all you can to protect your business from a cyber-attack. That’s why having a solid cyber security plan matters. So just what should you build into your plan? Any software you use in your business should be kept up to date. The most recent versions of software are an important part of keeping your software safe from attacks. Make a habit of installing the latest versions of the software you use regularly – schedule it the same way you would schedule any other regular appointment. Virus and malware protection will help you guard against cyber security threats. Just as you should update your software regularly, you will need to update your security software regularly too. Schedule regular scans – you can do this automatically so you don’t have to remember. Always check your scan reports, and don’t ignore any potential threats. Both your business and customer data can be kept safe with data encryption. This is especially important if you are asking your customers for personal information or payment details. If your customers’ data security is compromised, it will be hard for your reputation to recover, so take precautions before a problem can arise. Many businesses these days have a Bring Your Own Device (BYOD) policy, allowing employees to use their own phones, tablets or laptops at work or when out and about. This can open your business up to potential threats though, as your employees might not be following the same security protocols as you. The article “No Business is too Small for a Cyber Security Plan” suggests using a smart-use policy to educate employees on how to keep their devices safe. Establishing usage policies for your business software and data can help keep you safe from cyber threats. These should include setting out who may access software and information. Consider setting different levels of access so that your employees only have the access they need to carry out their tasks. Cyber security doesn’t stop at your software – you also need to be aware of any potential threats to the hardware you are using. As well as making sure your premises are secure, you can consider using CCTV for extra security. Tracking software on any mobile devices can help to find them if they go missing, and remote lock software means that anything that is taken will be useless to the thief. Your employees are one of your best assets when it comes to cyber security. By educating your employees on the importance of cyber security and encouraging them to follow all the necessary steps, you can get your whole team on your side. Building a culture of cyber security into your everyday operations will help you mount a good defense against threats. A cyber security plan will help keep your business data and software safe. Start planning today and establish how best to look after your software and connections to keep your business secure. About the Author: Tristan Anwyn is an author who writes on a range of topics including social media, SEO that works, and how to keep your business safe from cyber threats. ← How Do I Get My Raise?